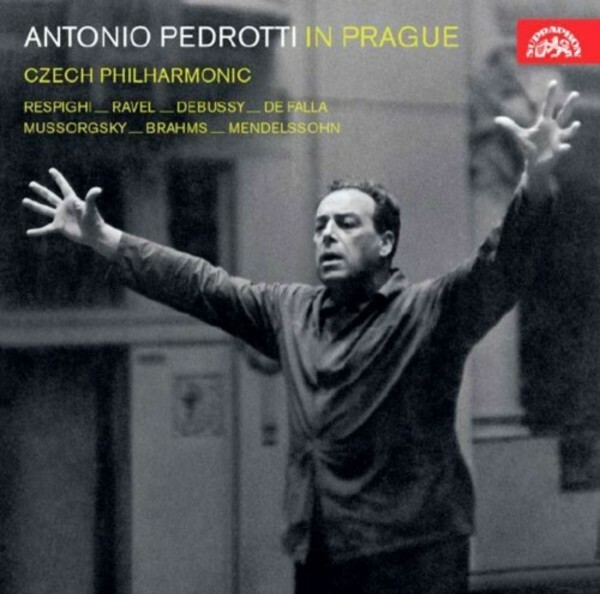 “Regardless of his reputation and engagement elsewhere, the Czech cultural scene definitely has to count Antonio Pedrotti among the international élite of conductors,” a music critic wrote with regard to Pedrotti’s stirring performance with the Czech Philharmonic Orchestra. Indeed, the world wanted Italian conductors willingly showing their southern temperament. There was no place for Pedrotti whose style of work was far from portentous and possessed an almost “non‐Italian” carefulness. Yet he became the most beloved foreign conductor with the Czech Philharmonic in the 1950s and 1960s. He was one of the first conductors to visit the orchestra from behind “the iron curtain” after Kubelík’s emigration. The musicians still remembered the high professional demands uncompromisingly required by Václav Talich, which was precisely what Pedrotti could follow up successfully. He conducted without score or baton, was consistent and always went straight to the point, yet he had a very humane approach.